Sh. Satya Pal Jain, Counting Agent of Sh. P A Sangma, and Sh. Pawan Bansal, Counting Agent of Sh. 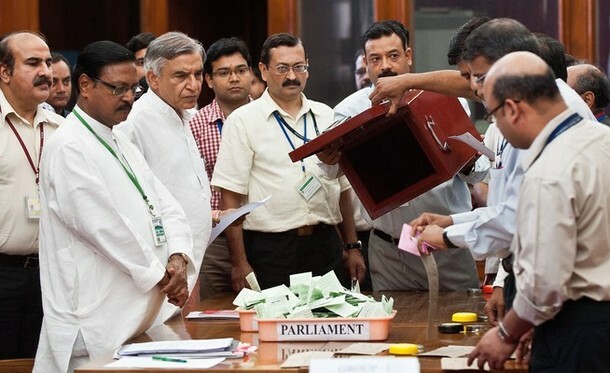 Pranab Mukherjee, during the counting of votes for the Presidential Election at Parliament House, New Delhi.